The Independent Chief Inspector of Borders and Immigration yesterday published three new reports. You can read the 96-page An inspection of the policies and practices of the Home Office's Borders, Immigration and Citizenship Systems relating to charging and fees here. David Bolt, the Independent Chief Inspector, said "In approaching this inspection and report, while I tried to cover the technical aspects of the Home Office's charging strategy and fee setting to the extent that this is essential to an understanding of the current position, my focus was on how effectively the Home Office has explained its overall approach, the reasons for particular fee levels and annual increases, how the fees link to service delivery and standards, and how the Home Office has responded to what its customers and stakeholders have had to say." As noted by the Guardian, the Independent Chief Inspector said in the report that the Home Office should consider scrapping controversial immigration fees charged to children from families who can't afford it and refund profits made from failed citizenship applications. The report noted: "The child citizenship registration fee attracted a great deal of adverse comment from those responding to the inspectorate's call for evidence, including challenges not just to its level, but to its legitimacy. There was also significant criticism that there was no fee waiver option. More generally, respondents expressed considerable concern about the impact of fees levels on families and financially-disadvantaged individuals and questioned the limits on eligibility to request a fee waiver as well as the fitness of the destitution test." The charity Citizens UK, which is campaigning for fees to be reduced, said yesterday that a Freedom of Information (FOI) request revealed the Home Office is making £2 million a month profit from charging children for citizenship. 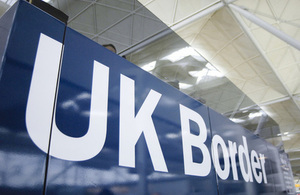 In summarising in his report, the Independent Chief Inspector said: "The overall conclusion from this inspection is that while the Home Office has successfully managed to move closer towards its aim of a self-funded immigration system by 2019-20, it has not paid enough attention to explaining individual fees and increases to its customers, particularly those seeking settlement and nationality, leaving it open to accusations that its approach is not truly transparent or fair, that its services are not reliable, and that its fees do not represent 'value for money'." The 40-page report A re-inspection of the Home Office's application of the good character requirement in the case of young persons who apply for registration as British citizens can be downloaded here. It follows on from the Independent Chief Inspector original July 2017 inspection report. David Bolt said: "My re-inspection report provides a chronology of the Home Office's progress towards implementing the original recommendations, together with its explanations for the delays, and an initial readout on the new ['Nationality: good character requirement'] guidance. Since the latter appears, in large part, simply to restate the previous policy, albeit with more explicit references to its application to children and young persons, it is hard to see why it should have taken the Home Office so much longer to publish it than it had indicated." The report examines 28 cases between 13 July 2017 and 30 August 2018 where a child applicant was refused citizenship on good character grounds because of the applicant's criminal history. Home Office record keeping in such cases was criticised, with the report stating: "Poor and inconsistent record keeping extended to the way that authorisation of the refusal was recorded in the 28 cases. This included two cases where name of the person who had authorised the refusal was not recorded anywhere on the case record. Given the significance to the applicant of a refusal, and the relatively small number of cases, it is reasonable to expect much greater care and attention, as well as some overall understanding of where best interests and good character considerations have been in the balance." The final report published yesterday was the 44-page A re-inspection of Border Force operations at Coventry and Langley postal hubs. You can read it here. This inspection evaluates the Home Office's progress towards implementing the 8 recommendations made in the Chief Inspector's original October 2016 inspection report. David Bolt said: "Overall, Border Force continued to work efficiently and effectively at both locations, where it performed two main customs functions in relation to the 'postal packets' (letters, parcels, packets and other articles) arriving in the UK from overseas by post: the detection and seizure of controlled and prohibited items; and the identification of items where duties are owed and levying of the appropriate charges." The Independent Chief Inspector noted, however, that there was more to do to ensure that intelligence flowing from and into the hubs was timely and actionable.